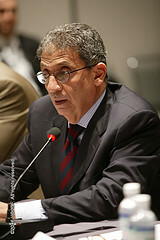 The 3rd U.S.-Arab Economic Forum took place on May 7-9, 2008 in Washington, D.C. 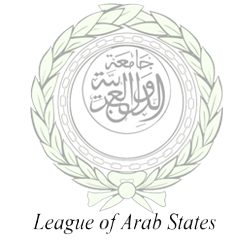 These three days of dialogue, provided a powerful opportunity for leaders from the United States and the Arab world to reinforce existing partnerships and forge new alliances and collaborations between the two regions. The Forum united over 1,000 participants from more than 35 countries including top Fortune 500 executives and over 150 global leaders, in the fields of government, business, technology, academics and policy. The U.S.-Arab Economic Forum works to secure a future rich with economic growth, cultural discourse, and bold innovation, by engaging the public and private sectors in building knowledge-based societies. The strategic impact of the USAEF is significant. In the past the Forum has had considerable audiences across the U.S. and Arab world. Close to 50 million people accessed coverage of the Forum through extensive media coverage that included CNN, MSNBC, FOX, Al-Jazeera, BBC, LBC, and Al Arabiya.